Applied Electronics can be defined as the applying scientific knowledge to practical problems in electronics. 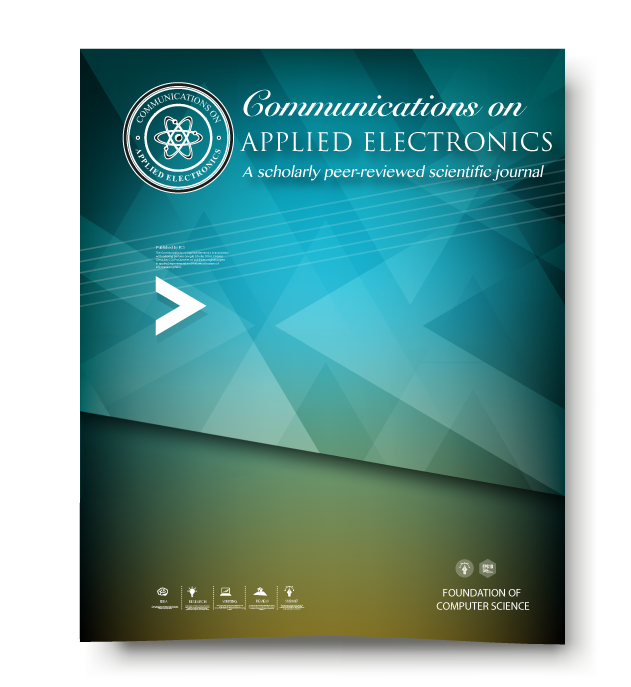 Communications on Applied Electronics (CAE) publishes original theoretical and applied papers on all aspects of applied electronics. . The Journal welcomes submissions on all topics in electronics, with specific emphasis on power electronics, embedded systems, semiconductor devices, analogue circuits, digital electronics, microwave and millimetre-wave techniques, wireless and optical communications, sensors, instrumentation and medical electronics. Papers should focus on technical applications and developing research at the cutting edge of the discipline..
All papers should motivate the problems they address with compelling examples from real or potential applications. Electronics papers must be serious about experimentation. Papers from industrial organisations are welcome.